YES! 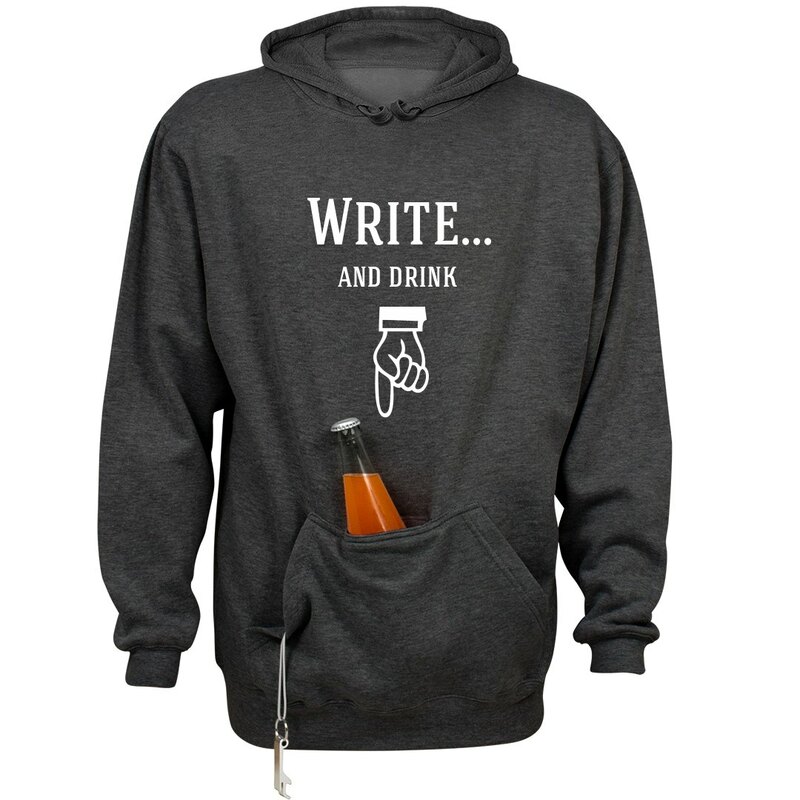 A hoodie with a built-in neoprene pocket for beverages! This unique patented design from Huzu and J. America maintains the sleek look of a traditional hoodie, but packs more functionality than a Swiss Army knife. The insulated pocket has reinforced stitching that keeps your beverage sturdy whether you’re playing corn hole or flipping burgers. Unlike traditional hoodies, the Huzu Velcro seal is great for storing cell phones, wallets, and other valuables that you need to keep secure and prevent from bouncing around or falling out. Also great for holding fly boxes for fishing, small backpacking and hunting equipment, diabetic meters and more. Metal bottle/can opener in front pouch pocket is attached to a elastic cord via a split metal key ring. Hangs about 12 inches down from the top of pocket. Bottle opener is removable for washing and drying hoodie; cord’s sewn in. *no refunds or exchanges. Please review the product size chart prior to ordering, as each order is made individually for you. (US Orders only for apparel).